Reiki was rediscovered in the mid 1800’s by a Japanese born Buddhist monk, Dr. Mikao Usui. While teaching in a college, Dr. Usui was asked by a student how Jesus facilitated the healing miracles that he performed. The question had planted a seed and set Dr. Usui out on the path to answer ‘that question’. Dr. Usui was determined to learn the secret healing so that he may help others and his journey took him to many countries on his quest. He made a decision that those who wanted to receive Reiki needed to be willing to make a mental commitment to healing as well as a physical commitment. 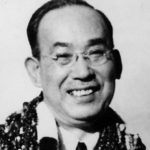 One of Dr Usui’s pupils was Dr Chujiro Hayashi who continued in the steps of Dr Usui by opening a Reiki clinic which remained opened until 1940. 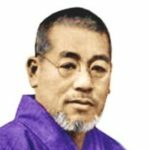 Dr Hayashi developed a new style of Reiki, which has the same energy and lineage as Usui Reiki, and many of the original techniques but is also responsible for the formal aspects of Reiki which are taught today namely the hand positions and the science-based practices held within Reiki. The fame and popularity of Dr Hayashi’s clinic spread throughout Japan, and it was quite successful at bringing healing energies to many people. 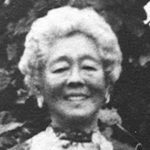 Mrs Hawayo Takata was a Hawaiian woman of Japanese descent born in 1900. She became sick and decided to travel to Japan in search of a doctor who could perform an operation which was deemed necessary was referred to Dr Hayashi’s clinic. Mrs Takata began receiving regular weekly treatments. Over a period of several weeks, her health improved drastically. She was amazed and asked Dr Hayashi to teach her how to transmit Reiki energies to others. Mrs Takata began giving treatments and teaching level 1 and level 2 Reiki Students. In the 1970’s, she began training other Reiki Masters. By the time of her transition on December 11th 1980, Mrs Takata had trained 22 Reiki Masters. It is from these original masters that Reiki had spread in the world, outside of Japan.